When Francis met this local couple who were interested in taking their first African safari together, it was to celebrate her birthday and their 30th wedding anniversary. A special occasion safari by any measure! The brief was high style, amazing food, loads of wildlife, private mobile “glamping” and a few days riding in the Okavango Delta. A tall order? Not for Francis who has planned hundreds of tailor made safaris. He began by choosing Botswana’s best experiences and guides for the riding and mobile safari components and then adding in a few days in the stunning Kalahari, some time at Victoria Falls and a grand finale in Zambia’s Lower Zambezi National Park. Offering a superb mix of accommodation and landscapes, the common denominators were excellent guiding, faultless service and good food and wine. To ensure the clients’ had all the comforts of home, Francis flew in their favourite brand of gin for those all important sundowner cocktails, added private charter flights to maximize their safari time and minimize travel time and special ordered the top guides at every camp. – First stop? 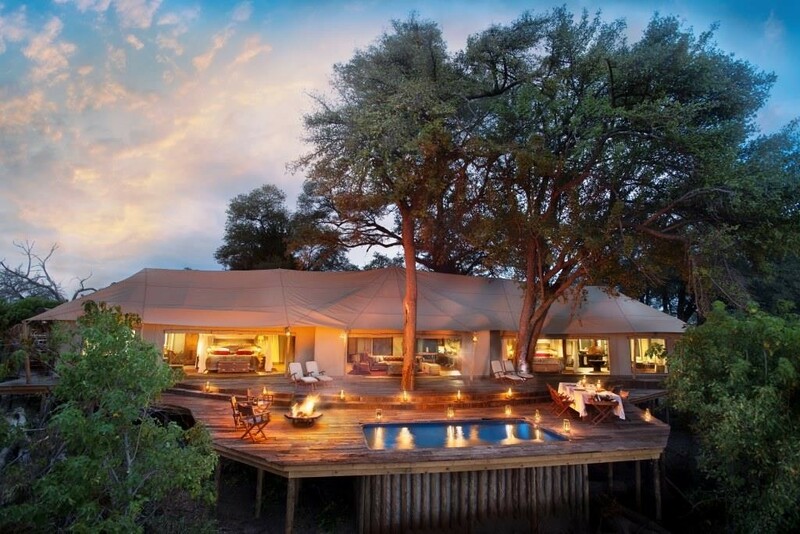 The incomparable Zarafa Camp in Botswana’s Selinda Reserve. 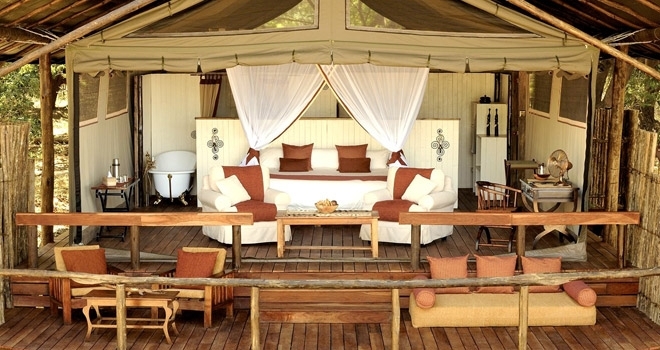 A mere four huge tented suites here redefine safari luxury and make a perfect soft landing into Africa. 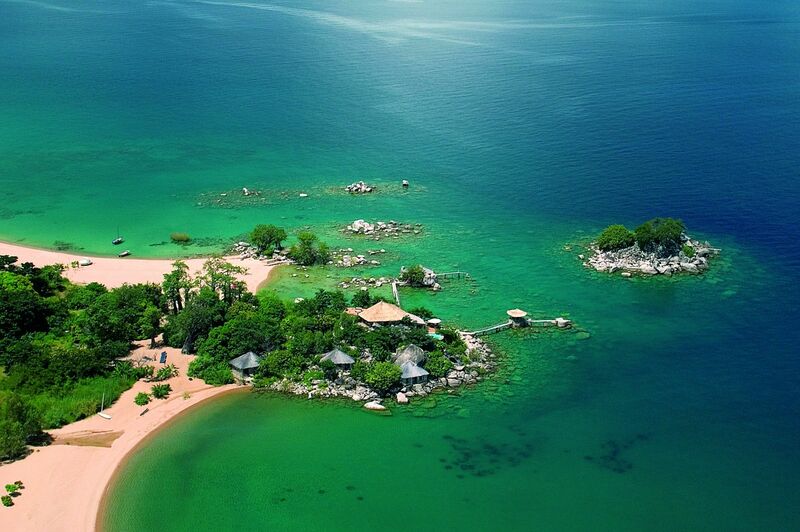 – On to a three night private luxury mobile safari in the middle of the pristine African bush without another soul. Here, the couple celebrated their anniversary while “glamping” amidst the huge herds of elephant and packs of wild dog this area is known for. 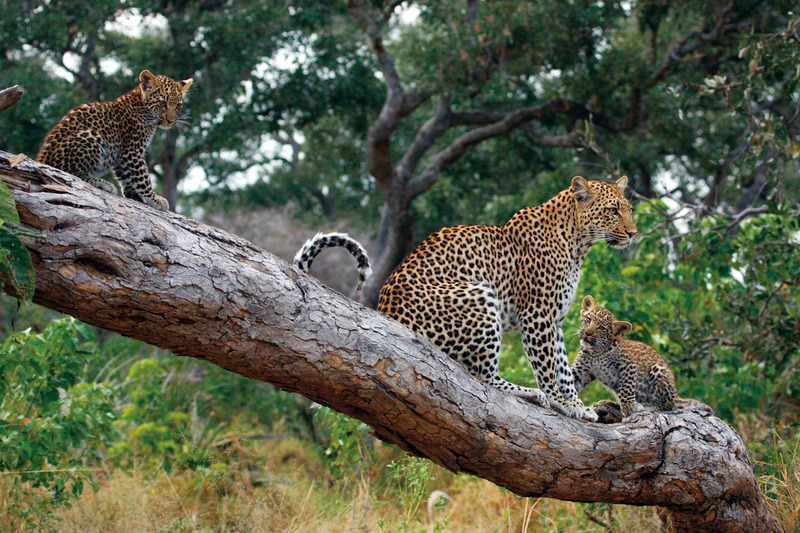 Walking safaris, canoe safaris and game drives were complemented by their exclusive guide, chef and camp staff. 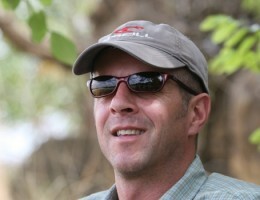 – Five nights with Okavango Horse Safaris followed. Exhilarating riding through the Okavango Delta, galloping alongside giraffe and zebra in the Okavango Delta’s watery wonderland. 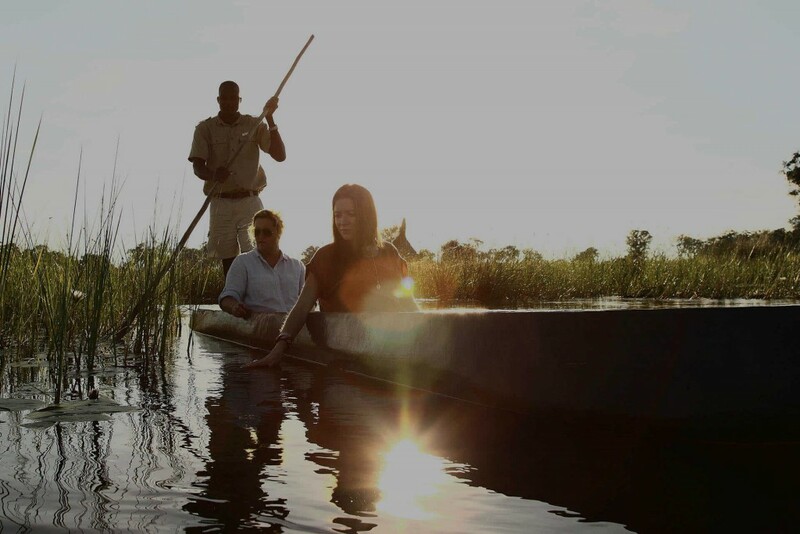 When not on horseback, the couple were able to explore by mokoro (traditional dugout canoe), on foot with guided bush walks and enjoy game drives. – A private charter flight took the clients on to the Kalahari Desert and San Camp, a unique retreat on the edge of the epic Makgadikgadi Salt Pans. 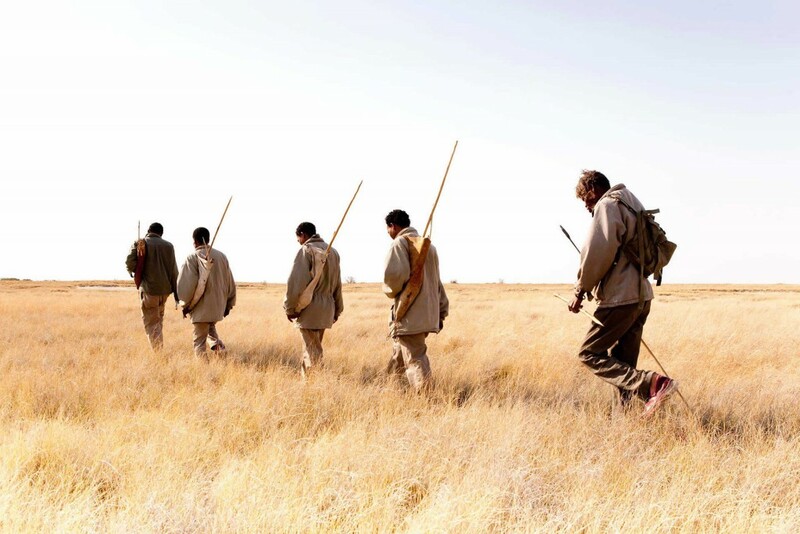 Three nights in the lap of romantic luxury offered ample opportunity to explore this mysterious landscape in the company of San Bushmen and to visit the habituated meerkats that burrow nearby. 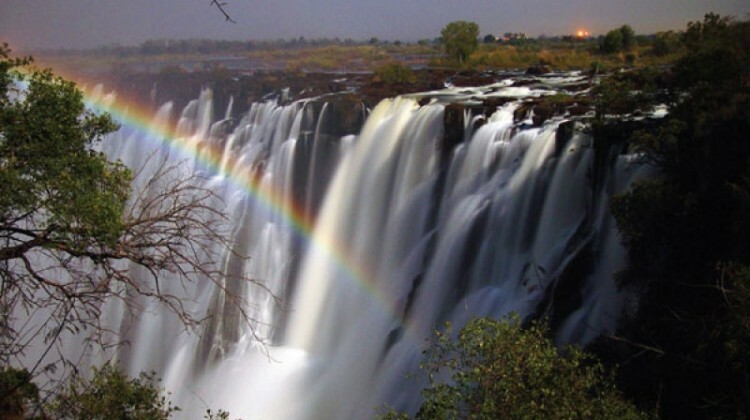 – Another private flight to Livingstone and the mighty Victoria Falls brought the couple to Sindabezi Island, a perennial favourite. 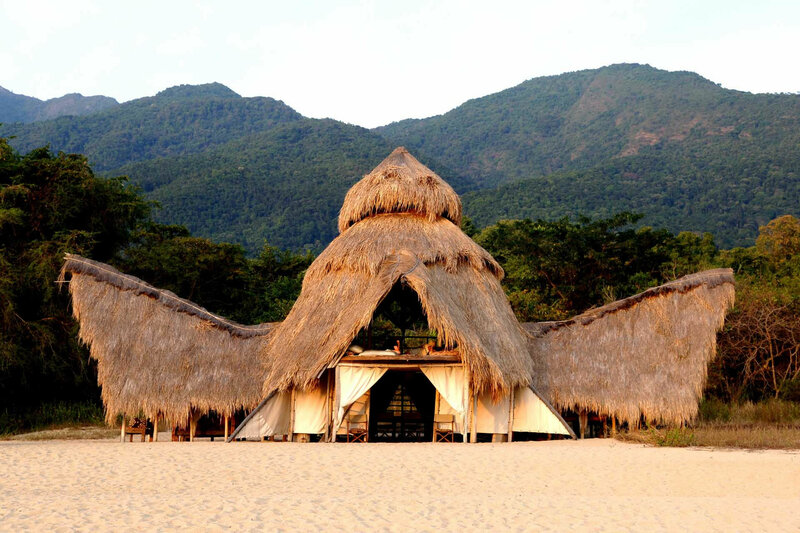 With just five open chalets, this is the perfect base for the Falls: close enough to enjoy all the activities on offer but secluded enough that the only sounds are bird calls and the honking of hippos. 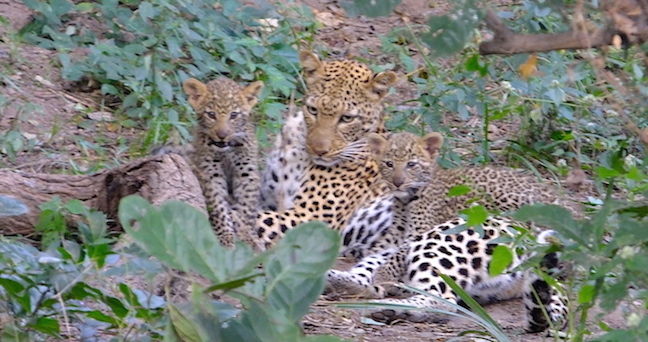 – The Lower Zambezi National Park, with its spectacular game viewing (including a load of leopard) was the final stop, again reached by charter flight. 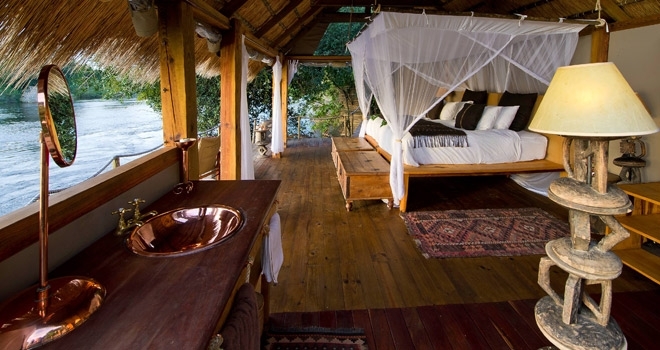 Chiawa Camp offered brilliant guides, tiger fishing, canoeing, game drives, walks and, of course, high style with deluxe tents and rolltop baths perched overlooking the Zambezi River. Please do get in touch with us to plan your special celebration in Africa.